We are Chebeague Island's 7-bed Assisted Living Home. 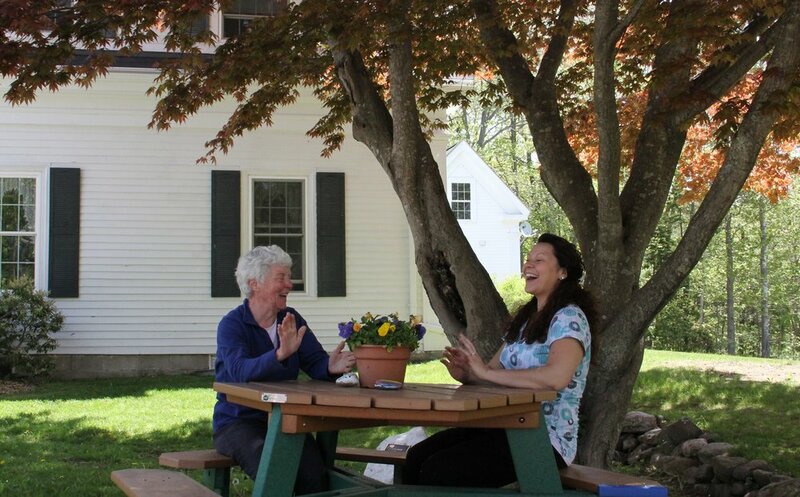 Our small size and person-oriented care make Island Commons a truly special place. Stop by for a visit, meet our residents & staff, and see for yourself what sets us apart from other assisted living facilities! Island Commons is 501(c)(3) nonprofit organization. We are an equal opportunity employer, and a MaineCare provider. Island Commons is a Level IV Residential Care Facility providing Residential Care, Respite Care, and Adult Day Care. Our Chebeague Cares program provides in-home assistance with tasks of daily living. Through Island Commons Resource Center (ICRC), we provide an equipment loan closet designed to serve the Island community. Click here to learn more about the Services we offer. Our philosophy is to provide a nurturing, safe, supervised, individually tailored, family-focused home where elder adults can age gracefully and lovingly in place. This “Age in Place” model is designed to keep residents within their community for as long as possible, with the least amount of disruption. As long as Island Commons can successfully meet their needs, residents can move in at an assisted-living level of care and stay through hospice level care. Treasurer: Kevin Brunelle, RCC Business Services Inc.
Island Commons goal is to provide services regardless of our elders' financial means and ability to pay. As a MaineCare provider, we rely on donations from generous supporters like you. Thank you for helping our elders to age in place on the island they love! Island Commons provides physical and social support, while encouraging residents to participate in everyday decision making. Island Commons allows its residents to live with the least level of intervention and the hightest level of independence, dignity and pride among friends, family and neighbors on Chebeague. Island Commons provides Residential Care, In-Home Care, Adult Day Care Services, Respite Care, as well as a Community Equipment Loan Closet. Our in-home care service, providing that little extra help you need to stay in your home. We accommodate two additional adults each day for health monitoring, rest and personal care services in addition to a group program of meals, therapeutic activities, medication administration, supervision, and companionship. This valuable program is available to any elder on Chebeague who wishes to spend a day with others, share a meal and participate in group or individual activities. Family members can go to the mainland for the day knowing their loved one is safe, entertained and eating a home-cooked meal. Because we focus on people-centered care, cost is determined according to the amount of care the individual requires. To best prepare for your loved-one's visit, registration in advance is required. At your initial contact we will answer your questions and determine with you the program that will best meet your needs. Our Administrator or Nurse Consultant can visit the applicant in his or her own home or in the hospital or facility where he or she resides. With permission, we will contact the applicant's primary care physician to obtain medical history, current physical condisions and written physician's orders. We work very closely with the applicant and his or her family to learn about food likes, dislikes and usual daily schedule. We learn their favorite activities so applicants can continue to do those activities that they have always done and to make the transition as smooth as possible. Seven elderly or disable adults may live in private or shared rooms with private lavatories, full use of wheelchair accissible living room, dining room, deck and kitchen. Therapeutic meals are provided family-style, taking into account personal preferences. Housekeeping, laundry and purchasing of household supplies is provided. The resident, his/her fmaily and physician determine individualized personal care. Trained staff offer care, medication adminitration, on-island transportation, group activities, individual activities, supervision and compantionship to adults with varying levels of care needs within a multi-generational household. Each resident has an independent evaluation to determine personal care needs. Fees are based on the amount of assistance each resident requires. Assistance will be provided for each applicant in securing a funding source. For more information on cost, please contact our business line at 207-846-5610. 24-hour care is available for short term on a space available basis to provide rest for family members caring for their elders at home. 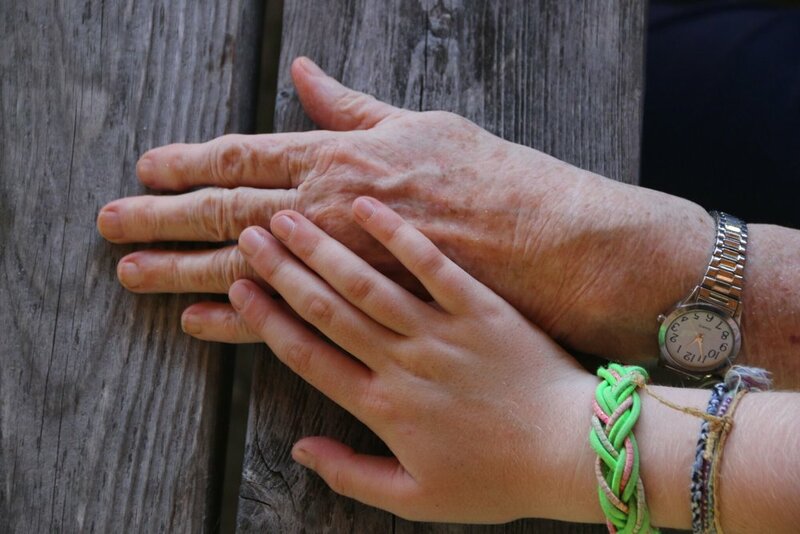 Respite care recipients are provided with meals, assistance with activities or daily living, medication administration, group activities, on-island transportation, individual activities, supervision and companionship. As with long-term residents, skilled nursing, physcial therapy, occupational therapy and speech therapy services can be provided at the Island Commons by mainland home health agencies. Respite care can be from one 24-hour day to weeks at a time. Island Commons has an equipment closet available to the Chebeague Island Community. Have you ever needed crutches for a few days and ended up having to purchase them? How about a walker or wheelchair? These items are surprisingly expensive. That is why we have all these things and much more in our Loan Closet - and we offer them at no charge. This service is for everyone on Chebeague. HOW IT WORKS: If you need something, simply call Island Commons 846-5610 and we'll see if we have it. You can keep the item for as long as you need it. IF YOU HAVE MEDICAL ITEMS: We accept donations. That is what keeps the closet going!